Are you looking for a cheap home window glass replacement, without compromising quality? Whether it is time to have new storm windows built and fitted or replace your window’s glass, it is recommended to hire the services of an experienced glass replacement/repair professionals. You can count on A Bob’s Glass & Repair to cover all your home glass repair/replacements needs. ABob’s Glass Repair offers reliable glass repair and replacement services for the residents of Florida. Our 24-hour emergency service is specially designed to help resolve situations where your home’s broken glass poses a danger or security risk. At ABob’s Glass Repair our vehicles are customized to carry a huge variety of glass and are equipped with all the required equipment and tools to repair or replace your glass with minimum hassle. All our employees are fully insured, qualified, and certified, so you should never settle for anything less. Responding quickly to replace your broken glass, whether it’s a door, window, shower screen, or sidelight – A Bob’s Glass Repair can solve your broken glass problem professionally. We commit to having a high caliber of glazier and fully equipped vehicles to make sure that glass replacement job is done quickly to minimize any inconvenience to our clients. Need to replace a scratched or broken office window? Whatever your need is, A Bob’s Glass & Repair can replace your glass professionally. Replacing your scratched or broken glass is the best way to extend your business value as your clients are going to feel more comfortable if your office or retail space has no broken windows. Whether it is for your home residence or office, when it comes to emergency glass service there’s only one name that stands out: A Bob’s Glass Repair Co. Highest standards and years of exceptional workmanship have built our name in the industry. We always have an emergency van standing by fully equipped with high-quality tools and equipment for quick glass installation and replacement needs. A Bob’s Glass Repair offers a fast replacement and repair service for your broken glass mirror closet doors. We can replace your existing closet doors with a stylish glass to keep the overall look of your house. 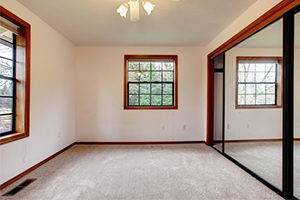 We have been in this business for many years now, and have numerous satisfied customers whom we have helped with a mirror closet door replacement.